Weekly Discussion Summary ~ Can breast cancer ever be all in the past? We hear the phrase 'it's all in the past' often in our fast-moving world where there is an almost relentless pressure to keep moving forwards. But can a diagnosis of breast cancer ever be all in the past? This was the question we asked ourselves in our weekly discussion where we explored how we cope when we return to work, start new things or try to get back into the normal rhythms of our lives. The end of active treatment signals a return to normality, yet many of us felt that this is the time when we become most acutely aware that we feel changed beyond all recognition. At a time when we expect to begin a new chapter in our lives, the past is all we are reminded of - the clothes we can no longer wear, the tasks which take us longer to complete, the confidence we no longer have to do things which we previously took for granted. There is a gap between our expectations and our reality and unfortunately, others still have a poor understanding of the disease that we have endured and continue to endure through its side effects. Our hair may have grown back. 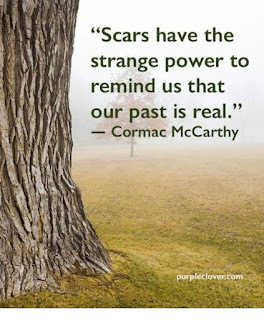 Our scars and are invisible to others yet are a daily reminder of our past. We can look good in clothes. Many of us are told - ‘you are fine now, you look great’. But we feel far from great. We are not confident and we worry about our mistakes. We are beyond happy to have our lives, to to be back, but for crying out loud we wonder, why does everyone think we are ‘fine’? What if we do not live up to that expectation? Will we lose our jobs? Will we be letting our family and friends down? Depending on our situation, cancer is still a big part of our lives, we may be on continuous medication, waiting for reconstructive surgery, perhaps we are adjusting to long term side-effects. We may not yet know - or want to know - the statistics about recurrence, or secondary breast cancer, but believe us, the fear is still there, an unopened door to a room in our minds which we walk past everyday without having the courage to enter. Some of us described returning to much-loved careers with renewed determination, others had made the difficult decision to give up or change employment. Some of us described our distress and exhaustion because we felt we had no choice but to continue in roles despite our recognition that they were not compatible with our needs. Very many of us described how we are still struggling with these challenges three, four, five years after being diagnosed with breast cancer. 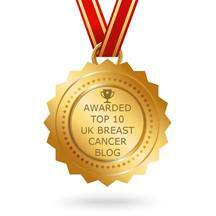 What about those of us with secondary breast cancer? We face ongoing treatment and the knowledge that we cannot be cured. For some of us, working is possible, and, we are well enough to continue with many aspects of our lives. We face the very real challenge that there is widespread ignorance about secondary breast cancer. There are not yet narratives available to us which relect the complexity of our individual experiences. We find it hard to describe our situation and the silence that greets us when we try to communicate our reality can add to our sense of isolation. Our discussion highlighted that whether we have primary or secondary breast cancer, our emotions are not straightforward. We can be both excited and hopeful AND fearful and apprehensive too. Managing expectations of others is also challenging. We don't want them to think that we are not capable. We don't necessarily want sympathy, but we do need understanding: understanding that we are not ok, even if we look ok, that the fatigue we experience will not be cured by an early night (even if we could sleep! ), that we continue to experience long term side-effects. Our memories form the basis for the story we tell ourselves and others about our lives and who we are. Our memories form the fabric of our identity. Naz explained that from a psychological perspective, our pasts are a significant part of the present. We cannot leave the past in the ‘past’ as without it, we wouldn’t have memories to build on and we wouldn’t look into the future or learn new things. The past is the foundation which grows into the present and in turn finds the future. We are cognitively vulnerable, we are emotionally vulnerable. When expectations rise, our moods can slide lower because we know we can’t achieve others’ expectations. As the gap widens, we become more aware of our losses. We can become depressed. 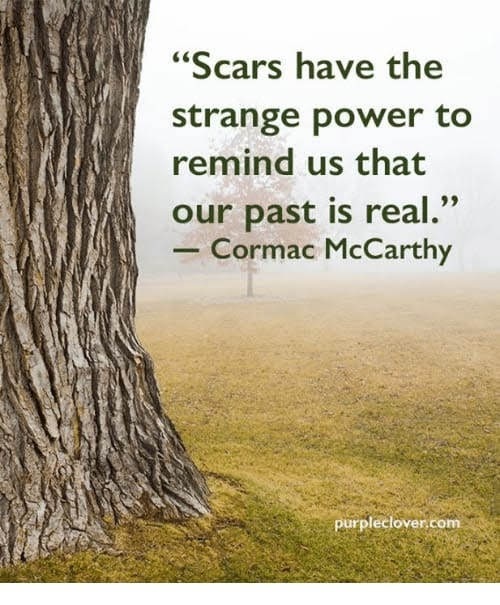 How do we deal with the reality that we are not what we used to be, we are not bouncing back to our old selves, we are this new self, bruised and battered self, yet still have enormous potential? * We have to put ourselves first. We have to take things slowly. We need to build on our resourcefulness and develop tools to implement our strength slowly. * We have to learn to be more honest about our limitations and needs. * We need to go slowly. There is a fine line between what we CAN do, and what we are capable of doing. Others want us to be great, to be fine, to be happy, that it is all over. But the reality is that we take our cancer forward, it is a part of us forever, vividly, even if it doesn’t define us. We don’t want to appear weak and fragile but the reality is that we are weak and fragile. We have changed, we are trying to adjust. This doesn’t mean we are not capable, we are, but we can’t access the same energy and resources. Cancer doesn't define us, but it is part of us. Acknowledging our vulnerabilities and the uncertainties we face does not make us any weaker. Thinking about cancer does not put us at risk of getting it again! It simply means we are strong enough to face our fears and rise to the challenges that face us. This week our Sunday discussion focused on depression. Depression. It's a word that has come into our everyday language, sometimes in ways which are not so helpful. We all feel sad, we all feel low, but when someone experiences depression, these feelings persist for weeks and months. Depression is not a sign of weakness. It's not something someone can simply "snap out of." 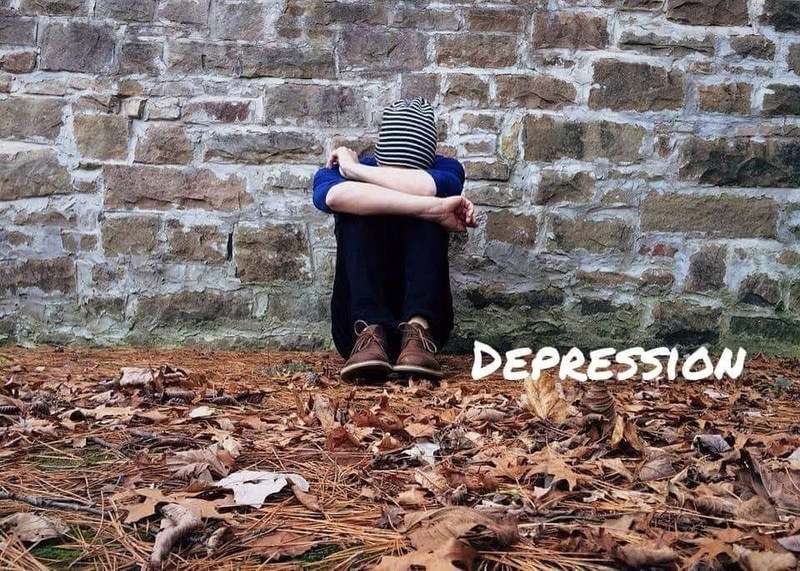 Clinical depression affects people in different ways and takes many forms, including feeling sad and unable to cope with everyday life, feelings of pointlessness, desperation and in severe depression, suicidal thoughts. It can cause physical symptoms like fatigue, pain, insomnia and loss of appetite too. Depression can be a lifelong problem for some, with episodes being triggered by stressful life events and experiences which are traumatic - like a diagnosis of breast cancer. Depression can also come in cycles, seemingly without any particular trigger. We poured our hearts out, women with a primary breast cancer diagnosis and women with secondary breast cancer, sharing some of our personal experiences of depression. We described dark days with no zest for life, a weariness that took away our motivation to carry on. Many of us described becoming depressed once active treatment had ended; the hospital appointments cease and, with them, the structure that kept us going; everyone around us expects us to be back to our old selves; it’s time to go back to work or other routines. However, we feel shaken and lost, our confidence shattered by the whole trauma of invasive surgery and treatment. It’s easy to see how depression can either creep up on us, or hit suddenly as the enormity of what we've just been through hits home. The debilitating effects of hormonal treatments taken by so many women, or, early menopause symptoms, increase the psychological demands we face, causing us to experience mood swings and fatigue at a time when we are already psychologically vulnerable. Women with secondary breast cancer face unique psychological challenges - living with the knowledge that we cannot be cured, our treatment is ongoing and our regular scans and checks cause great anxiety as the quest to halt progression continues. We cherish every day, but we can also experience bouts of deep depression as the relentless treatment regime punishes our bodies and minds. Depression can make us feel worthless, it can strip us of all joy in living. Fortunately help is available. Many of us shared that we had found talking therapies such as counselling, psychotherapy, Cognitive Behavioural Therapy and support groups helpful. Exercise - in many forms - can also be helpful. Anti-depressants and sleeping tablets have their place too. Depression can mean we have to rest and take time away from work and possibly family leading to isolation and contributing to feelings of hopelessness. Some of us spoke about times in our lives when we felt we could no longer carry on. We also described how something or someone prompted us to reach out for help, to seek support from professionals, family and friends to get better. For many of us, a first encounter with serious ill health or depression taught us how to look after ourselves. We learn to spot signs of sinking into depression and seek help to prevent it before it gets a stronghold. We learn to practice extreme self-care, and to reach out to each other for support. Naz explained that depression presents an evolutionary paradox to scientists. 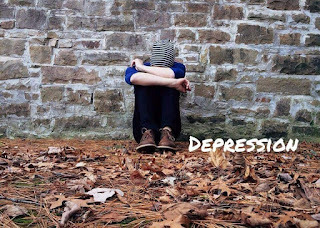 Is depression a cry for help? Is it an attempt to conserve resources? Does it represent an exhausted brain? Is it a consequence of chronic anxiety? Is it a state of no hope, helplessness, and repeated failure? There is no future to look forward to. Is it a chemical imbalance? Depression, Naz told us, is all of these things, but mostly it signals an exhausted brain, a brain so full of fear, anxiety and negative and traumatic thoughts that no room remains for cognitive thinking and common sense is replaced by irrational hopelessness. The neural pathways involved in goal driven behaviour are no longer working efficiently, and there is a reason for this. They can’t. However desolate depression makes us feel, there is always a way back up. Naz told us how we may learn to thrive following depression, as our severely depleted brain resources slowly but surely return to normal. 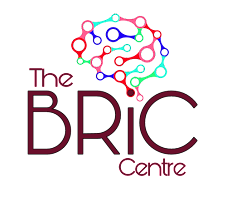 We can, with the help of others, bring ourselves back from the brink by training our brains to respond differently, by practicing cognitive focus. There may come a time when we can use our depression to our advantage, beating it down with determination and our will, our desire to overcome adversity and thrive again. This article highlights that we can learn to shake off depression, we can grow through it and beyond it to a place of strength where neither depression nor cancer defines us. This is our resilience. We are currently experiencing a glorious spell of hot summer weather here in the UK but how does it impact on us? Our discussion this week looked at how our members, women with primary or secondary breast cancer, cope with the heat. Though a few of us revel in the sunshine, for most, these long, hot, humid days are bringing some discomfort, and for a few, misery. For those undergoing active treatment there are particular problems with heat exacerbating side effects from chemotherapy such as nausea, dizziness and headaches; from radiotherapy, where the skin may burn (not dissimilar to sunburn); for those of us on hormonal treatments, or with menopausal symptoms, hot flushes become more severe, disrupting our sleep, increasing our fatigue. 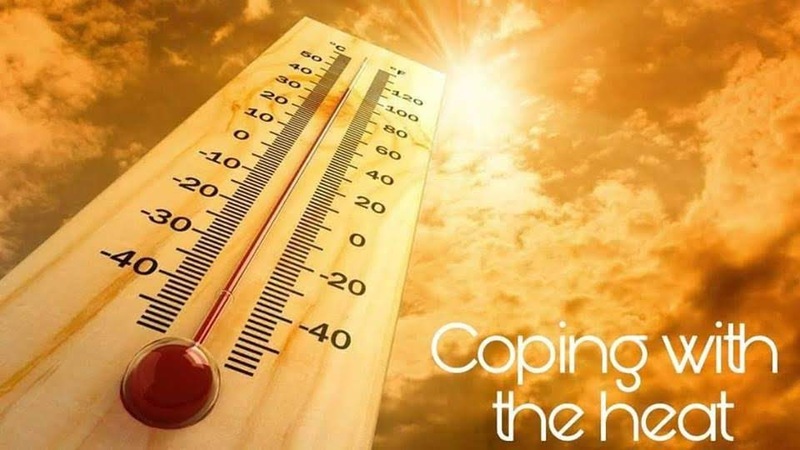 Many of us talked of feeling particularly exhausted during hot weather, and few of us enjoy sunbathing following a breast cancer diagnosis, often worrying about areas of skin that have been treated with radiotherapy or surgery being exposed to the sun. For some women, the shivery cold feeling brought on by some chemotherapy treatment is made worse by contrast in the heat, particularly as everyone around us is enjoying the outdoors. Those of us with lymphoedema and have to wear compression sleeves suffer from increased swelling which can also lead to rubs and blisters and wearing our uncomfortable compression garments can feel unbearable. Women who have lost their hair from chemotherapy and who are wearing a wig commented that wigs are also extremely hot and uncomfortable to wear in the heat. A few of us reported developing acute sensitivity to sunlight following chemotherapy, (polymorphic light eruption), others suffered prickly heat rash. * Products such as chill bandanas, ice towels and pillows. * Drink, drink, drink! Freezing water bottles to retain the chill longer, drinking fruit infused teas and waters (mint, cucumber, lemon), elderflower cordial, and lots of ice-cream! * Hand-held fans and desk fans can be a great help, as can wet wipes, and little cooling sprays which can be bought as proprietary products or made up at home with a spray bottle and some water. * Light, loose clothing made of cotton or linen was recommended, also light cotton undergarments, and sports clothing made of fabric designed to wick away sweat. * Hats and parasols are useful accessories. * If travelling on public transport, avoiding peak travel times and always carrying water. * Resting during the hottest part of the day and increasing activity when it's cooler, like early morning and evening. Some of us like all our windows open night and day to bring in whatever breeze might be outside, others are concerned about insect bites as these can be problematic to women after breast cancer, particularly for those who have lymphoedema. A bite can easily become infected as the body cannot fight the toxins efficiently without an active lymph system. Insect repellent alongside a high factor sun cream may help prevent the midges from biting. Despite the discomfort, most of us said that a bit of sunshine helps lift our mood. Maybe it’s just that we’re having too much of a good thing this year!